The perfect blend of elements! 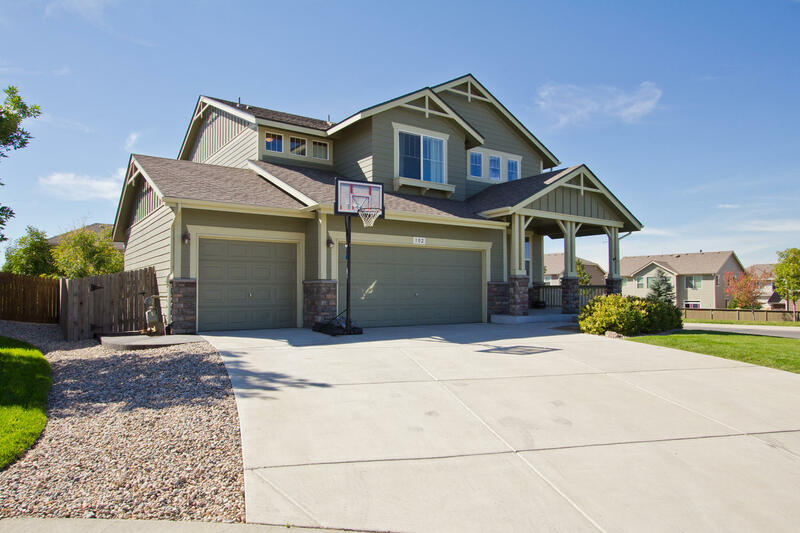 One of the largest lots in Pioneer Ridge at 11,612sqft! 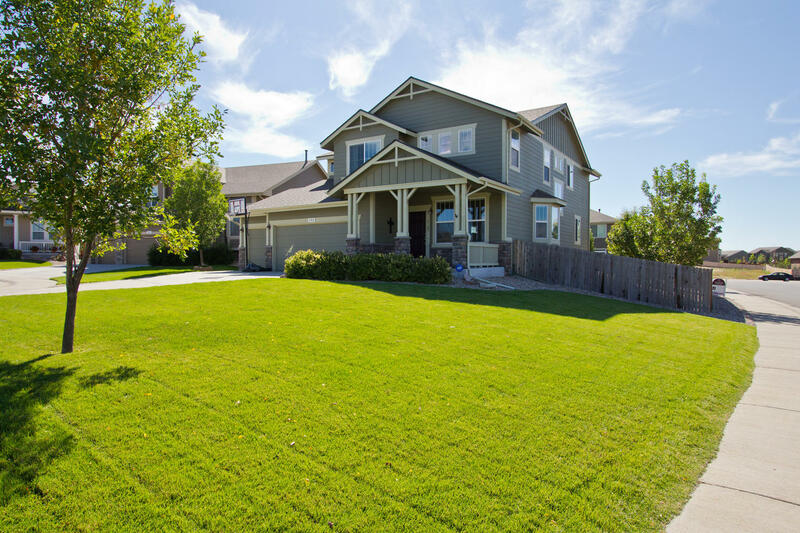 Nestled perfectly on the corner of a cul de sac, Boasting picturesque views of our front range Mountains from the Master Bedroom. The Popular Stockbridge layout features 3 upper Bedrooms and a convenient main level bedroom and bathroom at 2,780 finished square feet and nearly 4,000 total sqft! This design has Every desirable resale feature – 2nd floor utility room, huge picture windows, jack and jill bathroom, spacious Chef’s kitchen, 2 Bay windows, Separate and flexible dining area, large 3 car garage, full unfinished basement, enormous Master Bedroom and 5 piece luxury Master Bathroom And spacious walk-in closet! Built in 2008, newer and in exceptional condition! Just loaded with customized finishes and features! Beautiful full stone gas fireplace and mantel, spacious Chef's gourmet kitchen, gas range with double wall ovens (one is a convection oven) and all stainless appliances, including the fridge! An upgraded high efficiency furnace, central A/C, Newer Roof, full unfinished basement, the list goes on! 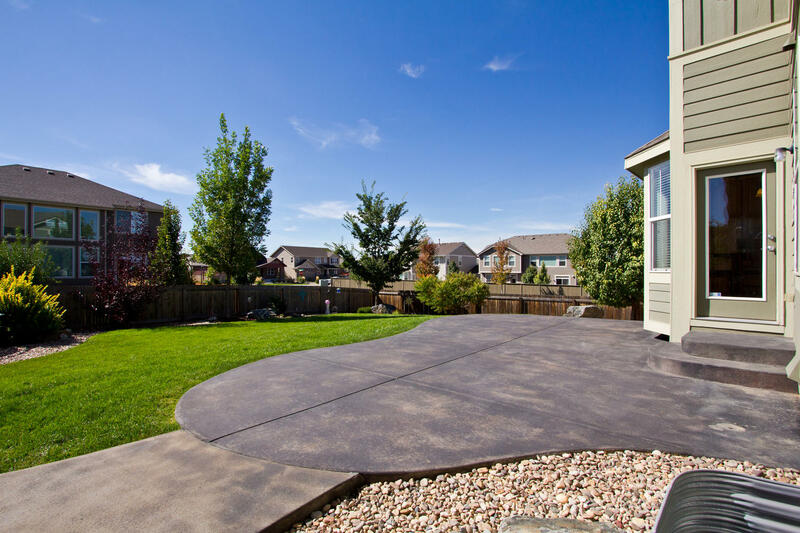 Shows beautifully, one of the largest lots in Pioneer Ridge!